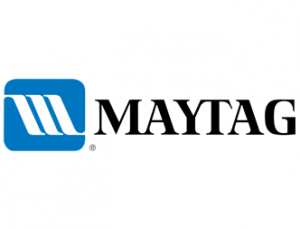 Founded in 1893 as the Maytag Washing Machine Company by Frederick Louis Maytag, Maytag has been a leader in home appliances for 122 years. Customers have come to depend on Maytag for reliable, sturdy appliances made to withstand daily use. For over a century, Maytag has been dedicated to building stronger and better performing products that customers trust. Maytag has a long history of creating some of the best home appliances. They strive to design the best-running products with the finest parts available. Customers know they are buying quality when buying Maytag. Be it dishwashers, refrigerators, or washer and dryers, Maytag home appliances are hardworking and guarantee superior results. Even though Maytag appliances are built to last, over several years of use, all home appliances can break down. Warranties can expire years before appliances need repairs. Maytag washers are known for transmissions breaking and the spin dry failing. Fast Appliance Repair is proud to offer repairs on all Maytag appliances, along with several other fine brands. We repair Maytag washers, dryers, refrigerators, dishwashers, cooktops, stoves, ovens, microwaves, and more.